Pro-Con is the largest independent paper converting company in the United States. In addition, Pro-Con offers an innovative “web-stocking program” designed to meet the critical demands of the printing industry. Each location offers comprehensive paper converting, warehousing and distribution services and the ability to finish and deliver your products to any U.S. market quickly and cost-effectively. We continue to invest in new technology, ensuring that our systems seamlessly integrate with yours. We provide unparalleled service to the web printing market with first line, mill branded and guaranteed products. Utilizing our extensive converting and mill inventory management expertise, Pro-Con alleviates the usual delays associated with paper mill manufacturing cycles by providing custom and standard web products in a timely manner. Most of our team members have previously worked for paper mills or printers and know this industry inside and out. Your customer service representative serves as one point of contact and focuses exclusively on your business. 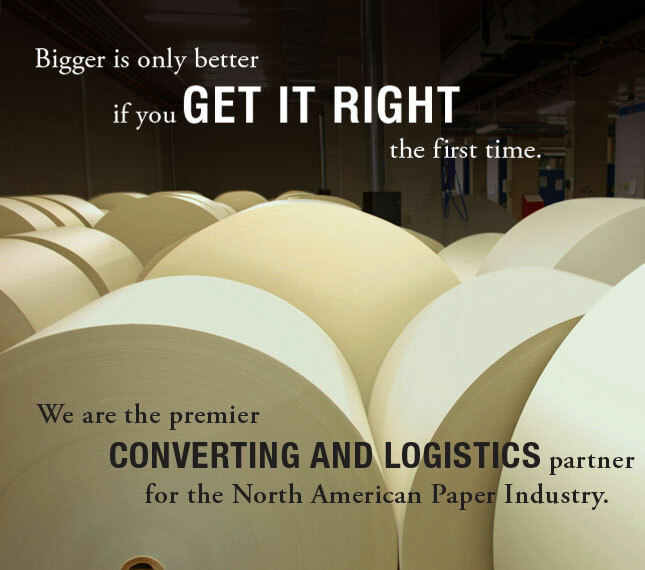 We have enormous resources and unparalleled capabilities, but we know our success comes from paying attention to the finest detail so that our paper mill, merchant and printer clients can grow market share. As a result, the largest mills in the United States trust Pro-Con to be not only their converter, but also their strategic partner. © Pro-Con 2012. All Rights Reserved.